Your card is gorgeous Narelle. Love the soft colors and design. I love that your fogged up glasses led to a design idea! The flowers and leaves are absolutely stunning and I love the corrugated background. I think I’ve still got a crimper in my stash somewhere so I may have to dig that out! This is beautiful! I love the sweet bouquet and soft colors! I just saw this on my FB feed and wanted to drop by your blog to tell you how pretty I think it is. 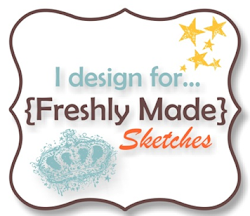 Just a gorgeous card designed with the Freshly Made Sketch. And congratulations on your appointment to the Artisan Design Team! 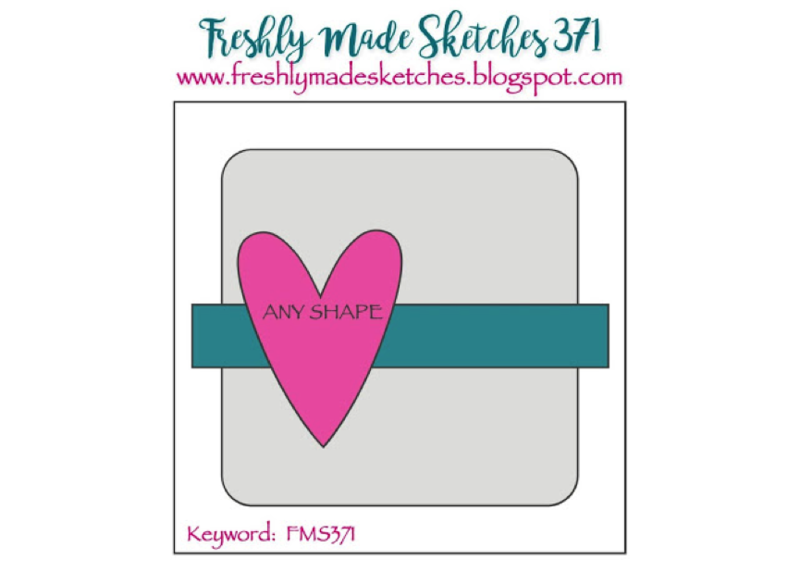 The stamp is so pretty – and I love the way you layered it up! You created a gorgeous bouquet with the soft coloring and wonderful layering of these images! This is such a beautiful card Narelle! I see these sets and never know what to do with them! You create such masterpieces with them! I’m so glad there were dies though and you didn’t have to cut them all out!!! Your attention to detail is just incredible! Everything about this card is stunning. I love me a white card base and this card really delivers! 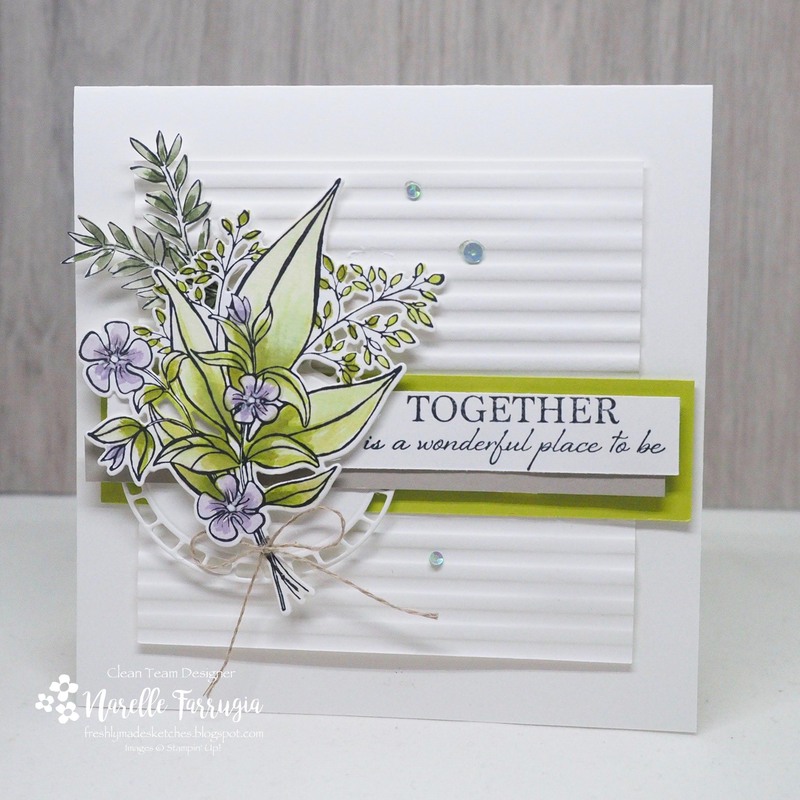 All the greens and the touches of purple make for a gorgeous card!